Dr Fadi Alhrashi has nearly two decades of advanced dental training and experience, which enables him to provide his patients with beautiful, healthy smiles. After graduating from dental school, Dr Fadi Alhrashi completed three years of post graduate studies and an advanced general dentistry residency at Eastman Institute for oral Health in Rochester, New York, as well as a Dental Implant Fellowship at Tufts School of Dental Medicine in Boston. During his post-graduate work, Dr. Alhrashi received the prestigious Handelman Award of Excellence from the Eastman Institute. This is a rare achievement, as it is awarded only when an exceptional candidate has distinguished him or herself with excellent clinical skills, leadership, initiative, ethics and communication skills. It is not an annual award; only two other residents have received this award in the past 15 years prior to Dr. Alhrashi’s graduation. 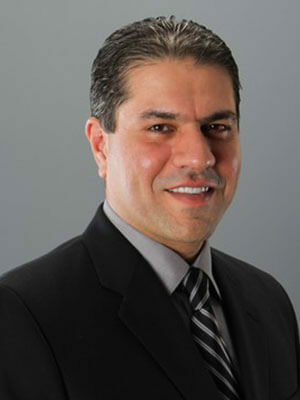 Dr. Alhrashi is also a member of the American Dental Association and the Academy Of Osseointegration.